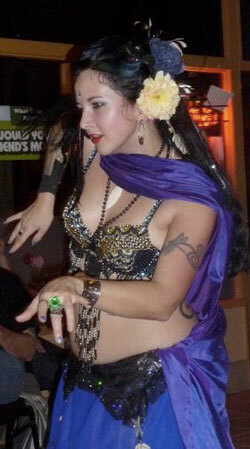 This Friday, April 20, 2012 is no exception, and it’s an extra special show: Offbeat Belly Dance! Fun Fabulous FREE Fourth Anniversary Extravaganza! Friends! Romans! Portlanders! Ninjas! Pirates! Miscreants! Hipsters! And all other players to be named later – Lend me your eyeballs! Forsooth! This is a Very Special Invite to a Very Special Episode of Portland’s own Offbeat Belly Dance! Because it’s our FOURTH ANNIVERSARY SPECTACULARRRRR! WOOOOOOOOOOOO!